Taconic Investment Partners LLC stepping in to complete Morris Adjmi-designed seven-story building after financial troubles delayed project. 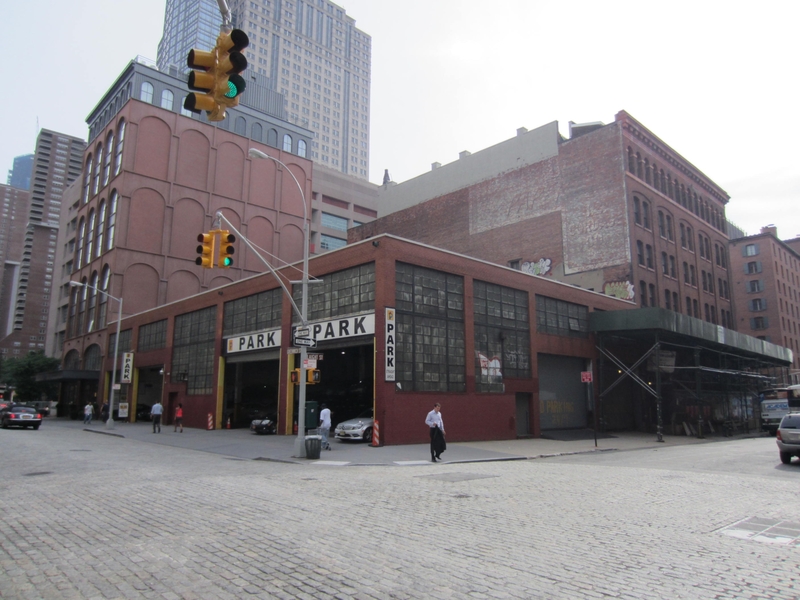 On May 31, 2012, the City Council approved a zoning text amendment that will allow Taconic Investment Partners LLC to move forward with a plan to replace a freight-loading garage with a seven-story residential development at 412-414 Greenwich Street in the Tribeca North Historic District. Taconic is under contract to purchase the property from 71 Laight Street LLC, which originally planned to build the project. In 2008, 71 Laight Street LLC obtained Landmarks’ approval to demolish the garage and build a Morris Adjmi-designed seven-story, aluminum-clad structure that would replicate the massing and design of an adjacent warehouse at 401 Washington Street. At the time, the area was zoned for manufacturing uses, and 71 Laight Street needed a variance from the Board of Standards & Appeals because the building would not comply with use, parking, and floor area ratio (FAR) regulations. In January 2010, BSA granted 71 Laight Street LLC the variance. Later that year, the City approved the North Tribeca Rezoning, which rezoned the property from M1-5 to C6-2A and created new subareas within the Special Tribeca Mixed Use District. The proposed building’s use and bulk would now comply with the zoning, but its 74-foot street wall height would not. 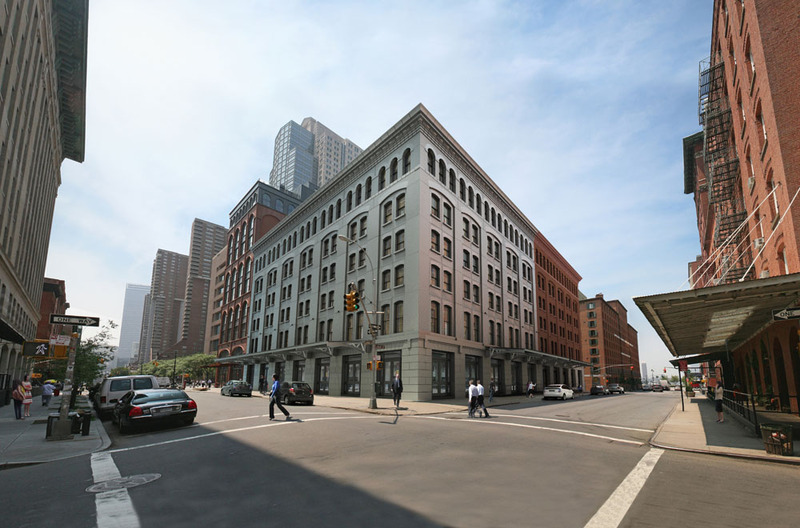 However, as part of the North Tribeca Rezoning proposal, the City included a grandfathering provision permitting 71 Laight Street LLC to complete the project within the two-year time frame of the BSA’s granting of the variance. On January 12, 2012, the grandfathering provision expired and construction on the building had yet to begin. The next day, Taconic submitted its application to amend the zoning text to extend the grandfathering provision from two to six years, providing Taconic with an additional four years to develop the building. Manhattan Community Board 1 and Borough President Scott M. Stringer supported the text amendment. The City Planning Commission approved the amendment on April 25, 2012. No one opposed the proposal when it reached the City Council’s Zoning & Franchises Subcommittee on May 22, 2012. At the hearing, Taconic’s representative, Kramer Levin’s Marcie Kesner, explained that Taconic stepped in after 71 Laight Street LLC was unable to obtain a building permit prior to January 2012 due to economic conditions. According to Kesner, without the text amendment, Taconic would be unable to proceed without redesigning the building. The Subcommittee unanimously approved the text amendment, and the Land Use Committee and full Council followed suit. Council: Special Tribeca Text Amendment (N 120166 ZRM – text amend.) (May 31, 2012).